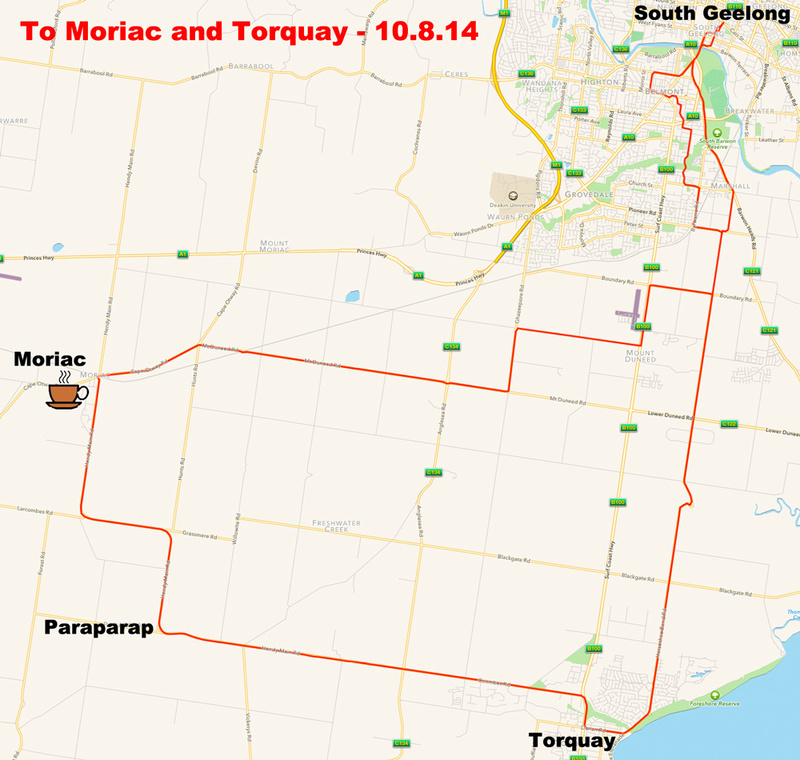 Eight starters set off at 9am from South Geelong Station, led by Nicole from the Geelong Touring Cyclists Club. David Fisher was there to represent Cycling Geelong. John Hagan reports: “We had a few rainstorms and wind but the return journey was good. ” He took these photographs. This entry was posted in Ride reports by hlyth2013. Bookmark the permalink.